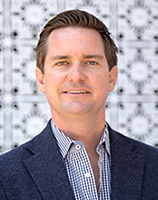 Tim co-founded Callan Capital with his two brothers in January of 2007. Tim has been assisting high net worth individuals in the areas of wealth management since 2000. As a Certified Financial Planner® and Certified Private Wealth Advisor®, Tim takes responsibility for clients’ overall financial planning and oversees a team of planners that assist with design and implementation. Tim makes sure that every area within a significant estate is addressed, including asset management, debt management, trust and estate, risk management, philanthropy and tax minimization. He is also a member of the Callan Capital Investment Committee. Tim strives to give back to the San Diego community. He is president of PEERS, a non profit organization of entrepreneurs and community leaders that give back time and money to local charities. He's a member of the Kiwanis Club of San Diego which focuses on the needs of young children in the local community. He also serves on the board of Entrepreneur Organization San Diego which is a peer to peer network that helps entrepreneurs learn and grow. He is an avid skier, surfer, and sailor. Tim lives in Point Loma with his wife, Jacqueline and baby, Lily. Chris is a Partner with KPMG LLP. KPMG is an audit, tax and advisory firm operating in 155 countries through its network of member firms. 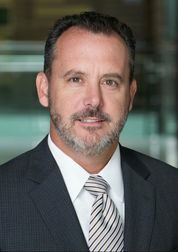 Chris joined KPMG in 1997 after spending several years with the State of California. Since taking over leadership of KPMG’s Pacific Southwest Business Unit Indirect Tax practice in 2007 Chris has built a large team of well-respected tax professionals. Chris has a reputation for his technical excellence, client service, and ability to collaborate with a team. He is recognized as a technical leader in indirect tax matters relating to California and multi state tax issues. 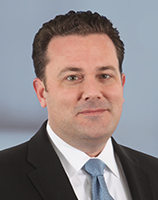 Chris is a member of the KPMG’s State Tax Resource Network (STRN). Chris received his B.S. in Finance from San Diego State University, is a Certified Public Accountant (CPA) and is a member of the AICPA. A frequent speaker at events held by the Council on State Taxation, the Institute for Professionals in Tax, and the Tax Executives Institute. Chris is also a guest lecturer at the University of San Diego Law School LLM program. Chris and his wife Nichole have two boys, Dylan and Parker. Chris enjoys cheering at his son’s baseball games, hiking, running and CrossFit. Chris and Nichole spend lots of time at the ballpark running the snack bar and volunteering on committees. They also participate in KPMG’s Family For Literacy program. 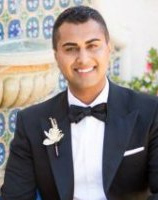 Masud Sarwary is an Executive and Entrepreneur located in San Diego, California. Mr. Sarwary is the owner and Partner of 4 companies; Foundation Escrow, Prime Mortgage Loans, Pasha Lounge, and Notary Near You. Foundation Escrow is an independent escrow company that provides escrow services for residential real estate transactions. Prime Mortgage Loans is a Boutique Independent Mortgage Brokerage providing mortgage loans for residential properties. Pasha Lounge is a Upscale hookah and beer/wine lounge serving specialty coffee & tea, desserts, and food. Notary Near You is your professional nationwide loan signing service with 20 years of experience and over 100,000 signings completed. Mr. Sarwary is an active investor in business, real estate, and private equity. Specialties include business development & management, sales & marketing, operations & finance, P&L controls, conventional mortgage financing, residential real estate transactions, independent escrow services, hookah lounge. Managing Partner at Callan Capital. Trevor co-founded Callan Capital with his brothers Tim and Ryan in January of 2007. 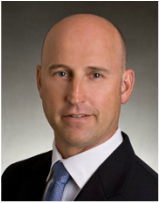 Trevor is responsible for portfolio construction, asset management and corporate executive services. He is the Chief Investment Officer of the Callan Capital Investment Committee. Trevor balances his career with philanthropy and family. He is a co-founder and former board member of the Equinox Center, a non-partisan, independent, nonprofit research center focused on economically sound environmental sustainability for the San Diego region. 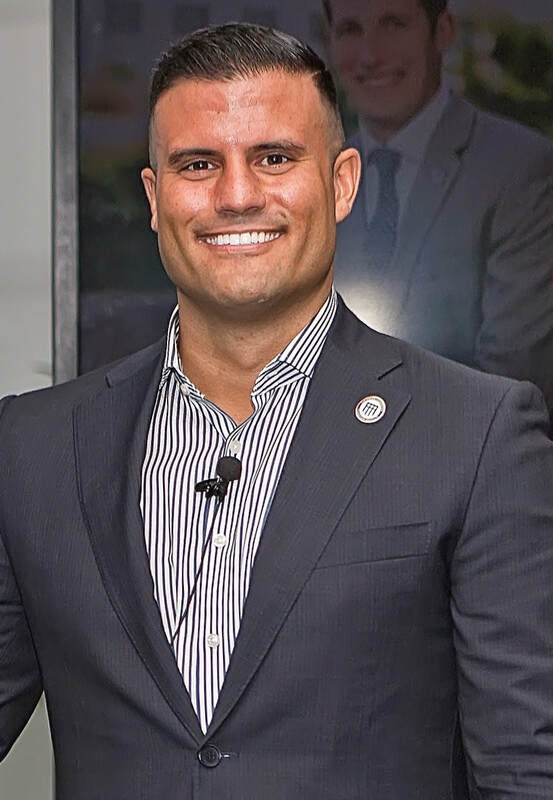 Trevor also co-founded and currently serves as the president of the PEERS Network, a philanthropic organization comprised of young San Diego entrepreneurs that has raised more than $1,000,000 for charitable organizations since 2009. He is a former board member of the San Diego Social Venture Partners and the La Jolla Music Society. Trevor is an avid snow skier, surfer and scuba diver. He is a resident of La Jolla with his daughter Jade Callan. 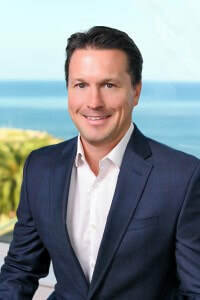 Chad R. Ruyle, born and raised in San Diego, is an attorney, entrepreneur and business owner. As the Principal attorney at Ruyle & Ruyle, Chad practices Trust, Estate, Asset Protection and Tax Law. Chad is the co-founder and owner of the national retail and wholesale lending company, Drop Mortgage, Inc. and FundLoans.com. He serves on various boards of start up companies in the tech and finance industries. Chad is also the owner of two downtown San Diego restaurants, Dobson’s Bar & Restaurant and Bottega Americano. ​As a result of Chad’s various business endeavors, he has been invited to contribute his expertise and opinions on numerous occasions: as a visiting lecturer at Dartmouth College (Tucks Business School), Baylor University and the California Western School of Law; in interviews with numerous national and international news organizations including CBS, 60 Minutes, the Today Show on NBC, ABC, Nightline, NBC Nightly News with Brian Williams; and as a reliable source quoted in the New York Times, Forbes Magazine, The Wall Street Journal. With a strong desire to give back to the San Diego community, Ruyle co-founded PEERS to foster philanthropic engagement and encourage entrepreneurism. Chad also volunteers with Big Brothers, Big Sisters and as a professional mentor to law students. 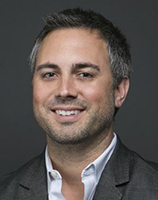 Jon Maddux is President and co-founder of Drop Mortgage, Inc. Drop Mortgage is a mortgage lender with the focus on residential jumbo niche loan programs. Before the mortgage crisis, he was President of IMS Lending, a local mortgage company in Del Mar, CA. In December 2007, Jon Co-Founded and became CEO of YouWalkAway.com. Specialties: Creative financing. Structuring real estate deals. Jumbo loans after foreclosure or short sale. Multifamily properties and commercial financing. Creative consulting on projects that involve economic foresight, marketing and out of the box thinking. Co-founded AfterForeclosure.com featured on CNBC. James Shira joined PricewaterhouseCoopers (PwC) in May of 2015 in the newly established role of Network Chief Information Security Officer (CISO). The Network CISO has been charged with leading a broad information security transformation program across the PwC Network of Firms. James brings his expertise in program effectiveness and organizational transformation to PwC. 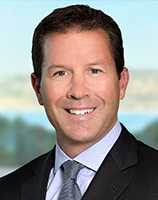 ​With 15 years of professional experience in the sale and leasing of commercial properties, Bryce Aberg, Managing Director for Cushman & Wakefield, is an established leader in the San Diego brokerage community. 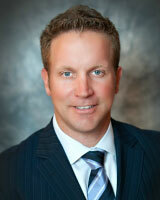 Bryce has formed the largest industrial leasing and sales team in San Diego County. The Aberg Team is well established in the Central San Diego market and is known for its passion and best in class service to its clients. ​Channing Hamlet is a results-driven executive who has 20 years of experience advising business owners on management issues and transaction execution. He brings direct management experience as well as strategy consulting, private investing, and investment banking experience to each client. Prior to joining Objective, Mr. Hamlet served as a Managing Director of Cabrillo Advisors, where he was instrumental in growing the valuation practice from its inception to a national practice serving more than 700 clients in five years. Previously, he served as a Director at Vistage; Principal at LLR Partners, a $260 million private-equity firm; and member of Legg Mason’s Investment Banking group. Mr. Hamlet has a master’s degree in operations research and a bachelor of science in mechanical engineering from Cornell University. He holds FINRA Series 7, 63 and 79 licenses and and is a Registered Representative of BA Securities LLC, Member FINRA SIPC. Dr. Gramins is a Fellow of the American Association of Oral and Maxillofacial Surgeons and is Board Certified as a Diplomate by the American Board of Oral and Maxillofacial Surgery. Dr. Gramins is one of a select group of Oral and Maxillofacial Surgeons who are licensed by the State of California to perform cosmetic facial procedures. He was also selected as one of two Oral and Maxillofacial Surgeons to sit on the Cosmetic Surgery Credentialing Board for the State of California and now serves as President of this Credentialing Board. His other affiliations include the International Congress of Oral Implantologists, International Team for Implantology, California Association of Oral and Maxillofacial Surgeons, American Society of Dental Anesthesiologists, American Dental Association, California Dental Association, and the San Diego Dental Society. Additionally, Dr. Gramins is highly involved with many local charities including The Oral Cancer Foundation, Las Patronas, The Ronald McDonald House, and The March of Dimes. He is an avid golfer and enjoys surfing, fishing, and living in San Diego. 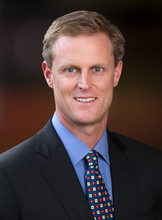 Burl is the CEO of American Assets Capital Advisers, based in La Jolla. AACA manages institutional capital in a variety of strategies all within real estate securities. Burl has more than 30 years of experience on Wall Street as a sell-side analyst and investment banker at Alex Brown & Sons (Deutschebank) and Wells Fargo Securities. Over his career, he has raised approximately $15 billion in capital (mostly equity) from sophisticated investors globally in 142 large-scale real estate transactions including IPOs, follow-on offerings, private equity transactions as well as numerous converts, preferred stocks, bond offerings, tenders, mergers, strategic advisory assignments and mezzanine debt placements. AACA manages a public hedge fund which was awarded Hedge Fund of the Year in 2016 from Hedge Fund Magazine. The same fund was ranked #1 in the real estate category for alpha generation according to Morningstar in 2017. Burl serves on the Board of Advisors of Comunidad Realty Partners, a real estate investment firm specializing in multifamily apartment communities in densely-populated Hispanic neighborhoods. He serves on Ernst & Young’s Audit Committee Network, which is a group of audit committee members selected from public companies. He previously served on the Leadership Council at USC‘s Lusk Center for Real Estate and the Board of Directors of Excel Trust, Inc., a NYSE listed equity REIT. He was a Board Associate for NAREIT and chaired NAREIT’s Annual Convention in 1997. He served on the board of Senior Resource Group, a San Diego based developer/owner of campus based assisted living communities. He has spoken at over 350 large real estate industry events in the US, Europe, and Asia. Mr. East has been interviewed in the financial press and on TV dozens of times and authored numerous articles for major publications like Barron’s. Burl earned a BA and MBA from Loyola University and holds a CFA Charter. Burl lives in La Jolla with his fiancé’ Inessa and has been involved in Las Patronas (the sponsor of the Jewel Ball), the La Jolla YMCA where he coached football and basketball and the Bishops School where his two adult children graduated. ​Burl supports the Challenged Athletes Foundation (CAF) and completed the Million Dollar Challenge in 2017, which is a 620 mile bike ride from San Francisco to San Diego. Current founder and CEO of Supply Chimp, Isaac is a former K-6 teacher and Peace Corps volunteer. He established SupplyChimp.com as a side project in 2006 and has made the Inc 500 fastest growing companies list twice in the past decade. His e-commerce company is powered by work-from-home professionals across the globe. His company strongly believes in giving back and its employees volunteer hundreds of hours each year in their local communities.